Posted on 07/13/2015 by Mickey McCarter	in Live Review and tagged dance, England, Little Boots, Prinze George, synthpop, U Street Music Hall. 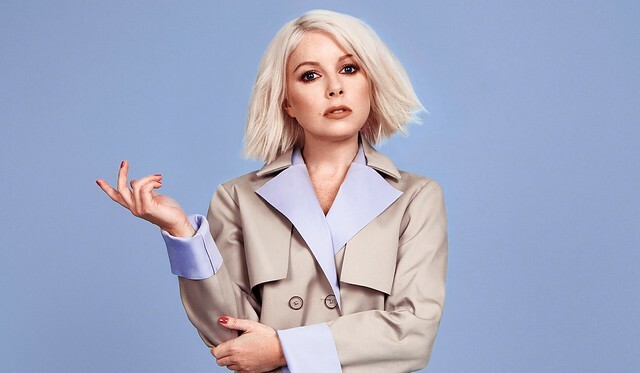 I am beyond excited that U Street Music Hall will welcome Little Boots (born Victoria Hesketh) on Saturday, July 25 as she tours in support of her new album, Working Girl, which she released last week on her own label, On Repeat Records. I first encountered Little Boots back in 2009 with her single “New in Town” from her debut album, Hands, thanks to its regular rotation at Liberation Dance Party at DC9. I continued to be impressed by that album, which featured a duet with The Human League’s Phil Oakey as a bonus to synthpop nerds like me, and its follow-up, Nocturnes. Little Boots isn’t afraid to explore what happens after the workday either, such as with her humorous video for “Better in the Morning,” which takes her on a “walk of shame” after a night of partying too hard. To my knowledge, this is the first performance of Little Boots ever in DC, although she is a regular visitor to Brooklyn from England, and she nearly made it here on a few previous occasions. Don’t miss what is sure to be a great performance.